We’ve put together a list of General and Frequently Asked Questions for you to help explain more about why you need travel insurance and the benefits of selecting Cover-More. If the answer to your question is not on this page, please contact our friendly customer service on 844-411-2487 or send us a message via our contact form. We believe every trip is worth covering, so we’ve created affordable comprehensive plans designed to give you quality protection. By investing in travel insurance you can take your trip knowing that we’ll be there to help if anything happens. Cover-More ExactCare is comprehensive travel insurance that pays claims fast. Still not sure? We’d be happy to discuss it in more detail, just call us 844-411-2487 or get a quote on our website today. Are there time limits for buying travel protection from Cover-More? You can buy a policy up to 11:59 p.m. on the day before your flight departs. So regardless of whether your flight leaves at 12:01 a.m. or 10 p.m. you can buy Cover-More ExactCare right up to the stroke of midnight. That said, the flight cannot already be affected in some way and cancelled or delayed because of weather, for instance and the trip and travelers have to meet all eligibility requirements. How can I pay for a policy? If my claim is approved, how will I be paid? Claims are paid based on information you supply, to an account you specify. For more information give us a call on 844-411-2487. You can modify an existing policy by calling us at 844-411-2487. No modifications are allowed after 11:59 p.m. on the day before you’re scheduled to depart. Can I file a claim on the website? Yes you can. Just click the “Claims” link on the website, then follow the prompts to start the process. Call 844-411-2487 or email [email protected] . We’ll look over your travel plans and work with you to find the right coverage. We want you to be satisfied with your purchase. How long does it take you to pay claims? Most claims can be paid fairly quickly once the claim is processed. They can be paid via electronic funds transfer or to a PayPal account in a matter of hours. Naturally, if you want a paper check you need to allow several days for processing and mailing. Can I check my claim status anywhere? You can call us for a claim update on 844-411-2487. 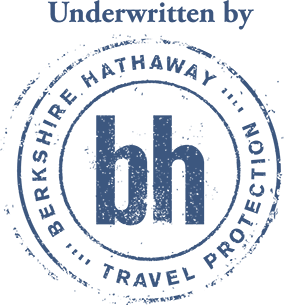 Why should travelers buy a comprehensive travel insurance plan like ExactCare? We recommend Cover-More ExactCare for travelers who want coverage for trip interruption or cancellation, medical evacuation, and emergency medical treatment. How do I know if ExactCare is the right plan for me? If you’re going on a tour or cruise, or traveling overseas for a vacation lasting a week or more, if you trip involves multiple hotels, guides or charters, or you want medical coverage on your trip above and beyond your current medical policy – then Cover-More ExactCare is for you. Can I get ExactCare even if I’m not going on a cruise or a tour? Cover-More ExactCare also covers trips that aren’t an organized tour or cruise. I’m a last-minute sort of person. How long can I wait before buying ExactCare? You can buy Cover-More ExactCare up to 11:59 p.m. on the day before departure. And unlike some travel insurance plans, you don’t pay more the closer to your trip you get. However, you do get more benefits if you buy Cover-More ExactCare within 15 days of booking your trip. I’m travelling overseas. Is there anything different about buying ExactCare for an overseas trip? No. Indicate your international destination on your application, and we’ll take care of the rest. What do I do if I don't know my airline/cruise line when I'm buying ExactCare? Leave it blank or check “Other,” and fill in the blanks later. I like doing things on the go, on my mobile device. Can I buy ExactCare on a mobile device? Yes, you can purchase Cover-More ExactCare on our website on a mobile or tablet device. If I use frequent-flyer miles to buy a ticket, or someone else pays for my entire trip, how does that affect my ExactCare coverage and benefits? Cover-More ExactCare only covers the prepaid non-refundable trip costs. It would cover the fee to restock your frequent-flyer miles but not the miles themselves. It depends on how quickly you buy Cover-More ExactCare. In most states, if you buy Cover-More ExactCare within 15 days of your first trip payment, our medical coverage is primary. That means we pay on the covered part of your medical bills first. If you purchase after that 15-day window, the coverage is secondary, meaning your other health insurance pays first. Your policy documents will give you the specifics on how medical coverage is handled in your state. If you’re being treated by a doctor for a medical condition before you buy your insurance, that’s considered a pre-existing condition. In most states, it's covered if you purchase your policy within 15 days of your first trip payment. To qualify for pre-existing-condition coverage, all the covered travelers have to be medically able to travel when they buy Cover-More ExactCare, and the entire trip cost has to be insured. There are lots of things that would make you want to file a claim for trip cancellation/interruption, but basically they boil down to natural disasters, sickness or injury, crimes, or work-related reasons. Cover-More ExactCare has a list of covered reasons for cancellation/interruption. Please see your Description of Coverage for details. Oh, no - but don’t worry: We’re here to help. Call us at 844-411-2487, or email [email protected] and we’ll walk you through the steps. We’ll contact consulates on your behalf, and do whatever it takes to get you back on the go with minimum downtime. All Cover-More ExactCare plans come with travel assistance and virtual concierge support MyAssist. Our team is available on a 24/7/365 basis, so you’re never left stranded. They can handle everything from medical referrals to restaurant reservations to pet services.